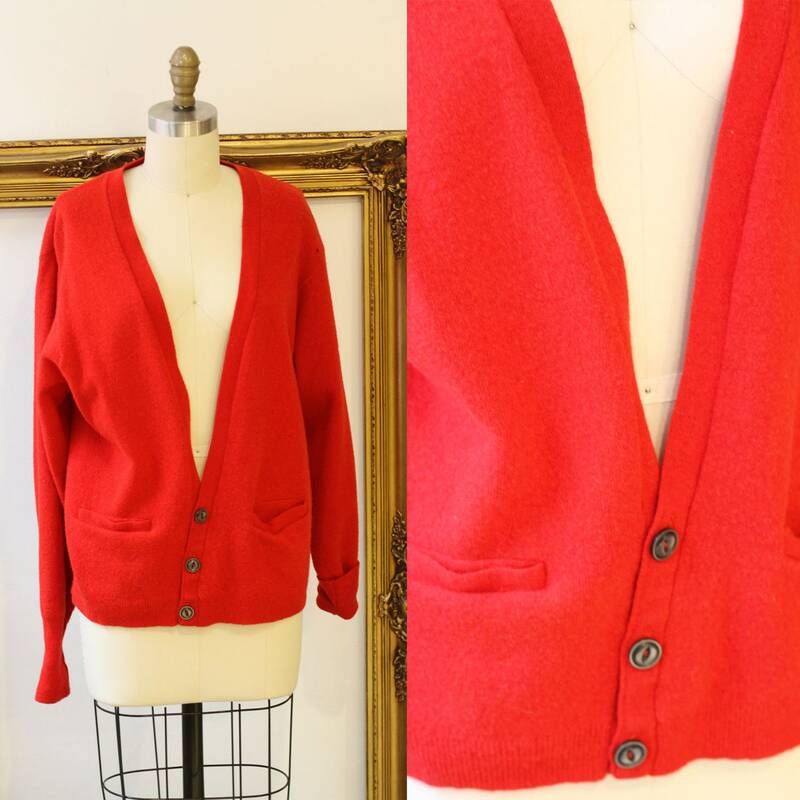 1940s Jantzen sweater cardigan in a bright red colour. 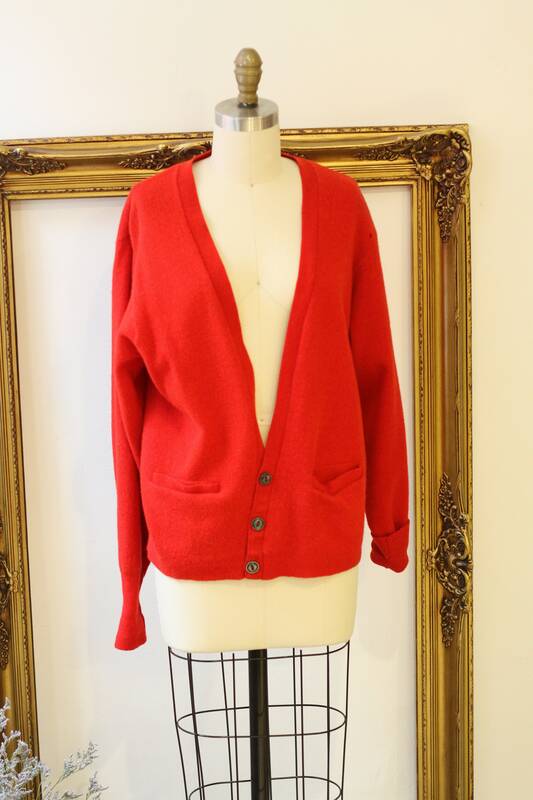 This sweater does have pockets and is quite comfortable. 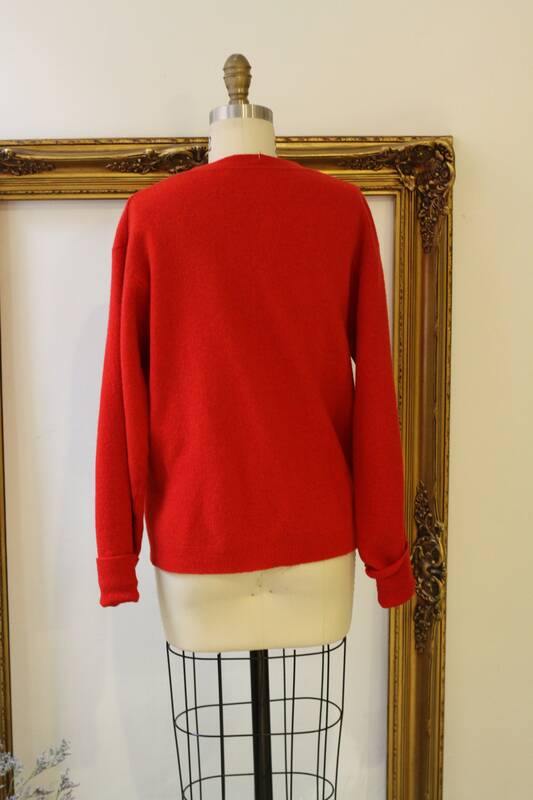 It is a nylon and lambswool blend. 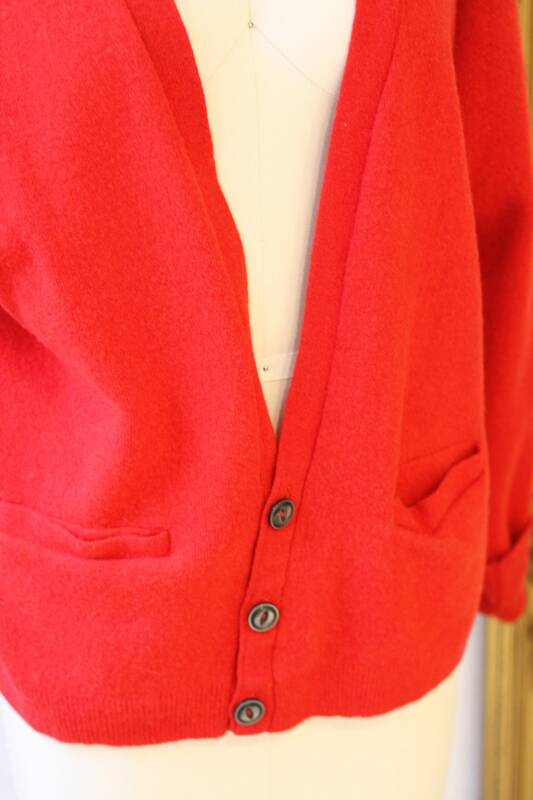 Three metal buttons for closure at the waist of the sweater. 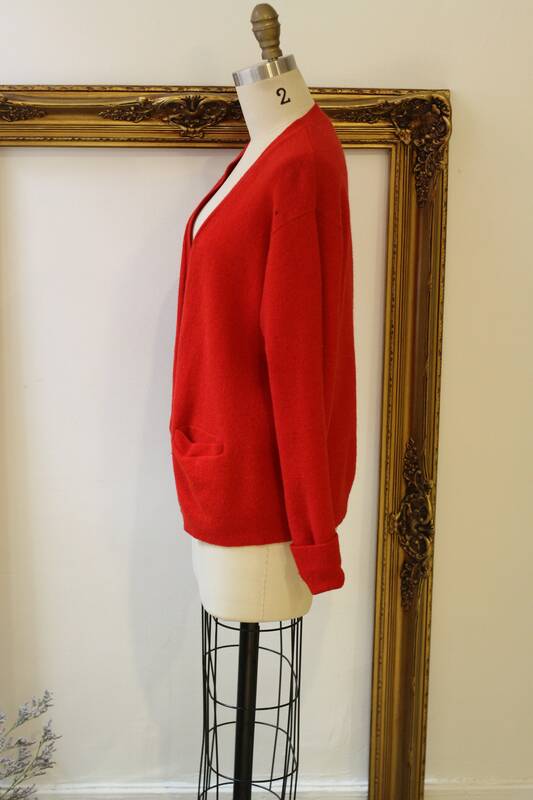 So many great ways this sweater could be styled.